Anio Novus was the aqueduct of ancient Rome with the highest level (and therefore the greatest theoretical pressure). It and the Aqua Claudia were begun by emperor Caligula in 38 AD and completed by Claudius who dedicated them on August 1, 52 AD. Its source was the Anio River, which was muddy and turbid since it had loose banks from nearby agriculture. A settling tank was used near the intake before the water ran into the aqueduct channel, but even so, the water was turbid whenever there were heavy rains. 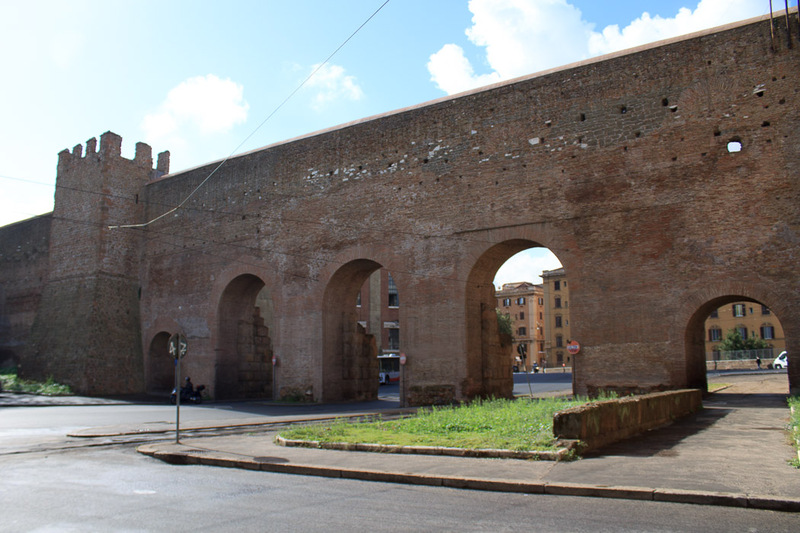 Trajan fixed this shortcoming by moving the intake upstream to a lake which was formed when Nero dammed the Anio for his villa, thus lengthening the aqueduct from 54 miles to 57 miles. Those lakes were swept away during the Middle Ages. From its source, the aqueduct channel was generally underground until it reached a filtering tank near Capannelle, near the seventh milestone of the Via Latina, not far from Aqueduct Park, where it was then carried into Rome on a channel above that of the Aqua Claudia as it crossed land on a long series of high arches as the land's elevation lowered toward Rome. The whole time it dropped one foot closer to the center of the earth per 300 feet of travel, so gravity could pull the water downhill into Rome. The two channels are visible today at the top of Porta Maggiore. The aqueduct ended at a no-longer-extant large settling tank near the Temple of Minerva Medici, from which service was provided to the Caelian Hill, the Palatine Hill, the Aventine Hill and Trastevere. Together, the Aqua Claudia and Aqua Anio Novus nearly doubled the water supply into Rome. About one-fourth of its capacity fed imperial buildings and properties, including the palaces of the Palatine Hill. Because of the maintenance required by these two aqueducts, water administrators and maintenance crew doubled in numbers, including crews who patrolled the lines to dismantle the numerous illegal taps. See all Aqua Anio Novus photos.